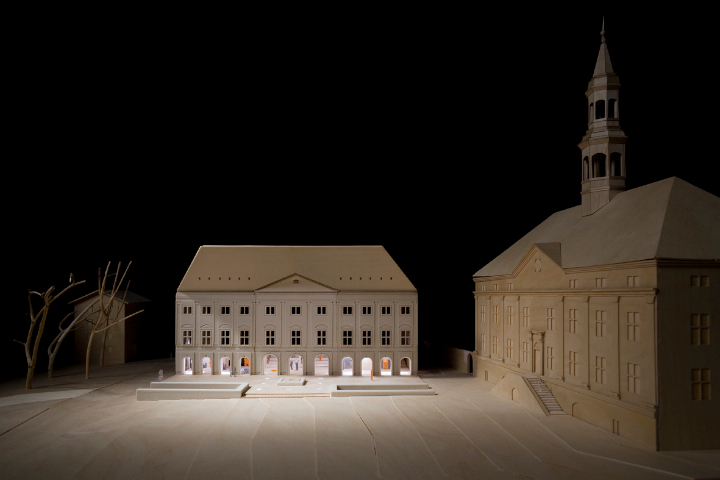 Architects Katrin Koov, Indrek Peil, and Siiri Vallner of Kavakava faced the challenge of designing a new building for Narva College in Estonia on the Old Town Square next to its baroque Town Hall, one of the only buildings remaining since World War II when most of the town was destroyed. Kavakava’s solution is a rather unique and clever one. 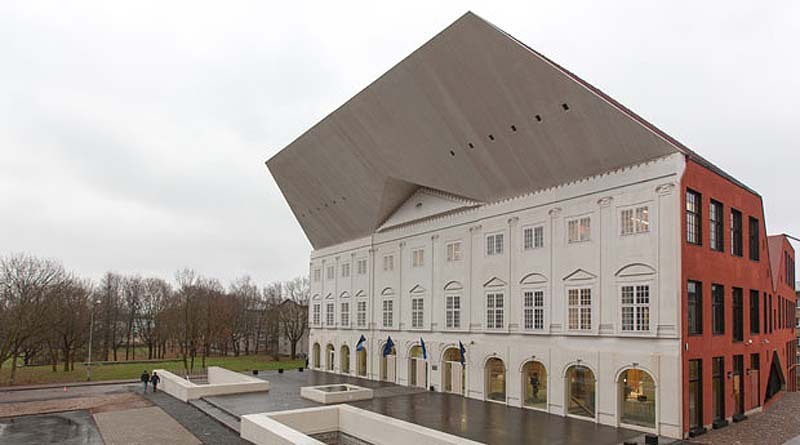 The structure consists of two connecting volumes; the façade of the volume facing the Square was designed to match that of the building that originally stood in the same place, now curiously cast in concrete, with an angled roof that has been nicknamed “the beak.” I believe the idea is that seen from the front, “the beak” gives the illusion of emulating the angle of the original roof. 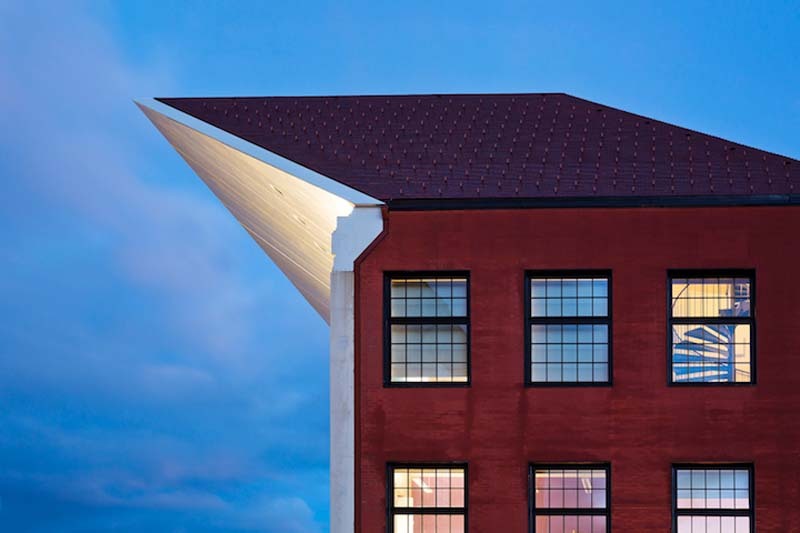 The rest of the new building is made in a contrasting red brick exterior, offering the most modern facilities and study environment from classes to lecture halls. New and faux old working together as one. And check out that laser signage on the floor in the fourth photo up from the bottom. Very cool. Photos courtesy of Kavakava; and Maja.